Carey Marx has been a circuit favourite for years, mixing his own blend of dark humour with his mischeivious and gleeful delivery. His willful disregard for the controversial and delicate is tempered beautifully by his ability to find joy in the most unexpected places. This hilarious mix of edgy topics and playful gagsmithery can be seen at all the top clubs across the country with Marx regularly playing Jongleurs, Komedia and The Comedy Store and annually compering Reading, Leeds and Glastonbury Festivals. 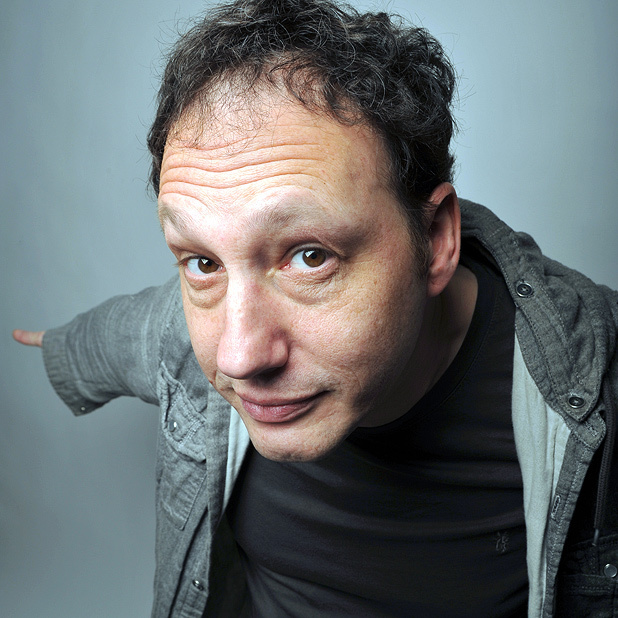 Alongside his stand up, Carey records a popular weekly topical podcast with comedian Barry Castagnola, called “The Proper Gander”. The hilarious show has received 5 star reviews from listeners and is available through iTunes. Carey regularly comperes the best clubs in the country and plays at the most prestigious festivals. His first solo show to appear at the Leicester Comedy Festival won a nomination for Best Show. Carey has performed all over the world including a run in the Middle East and he performed at the New Zealand Comedy Festival for the first time in 2010 scooping the award for Best International Show. In 2011 Carey returned to the New Zealand Comedy Festival to perform, where he was awarded the prize of Best International Show for the second time- making him the only act in the history of the festival to achieve such a feat.